"Once in a while it really hits people that they don’t have to experience the world in the way they have been told to." Have you ever heard or read that statement? This holds true to any travelers. 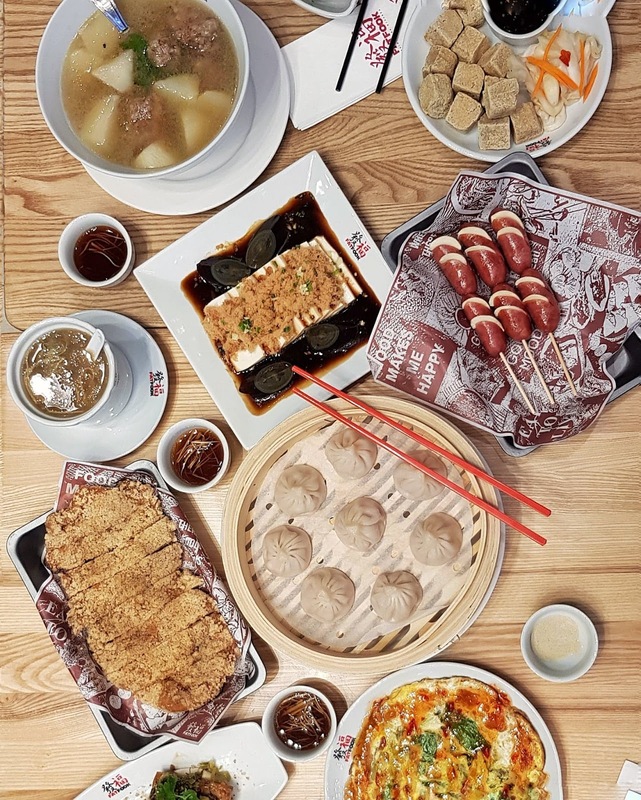 To really know the real deal of certain cultures, you have to be there where it is supposed to be based, like when we talk about Taiwanese cuisine, eating their dishes off the streets gives you a sense of authenticity, when you start learning about tradition one bite at a time. It is so different when you just read it in blogs or magazines, it's all about the sights, sound and taste. But traveling may not be for everybody so next to that comfort is having a part of that culture brought here from another country. Nothing can get foodies more excited, specially those in BGC with the opening of Fat Fook, a restaurant that serves a medley of Taiwanese dishes and known street food. 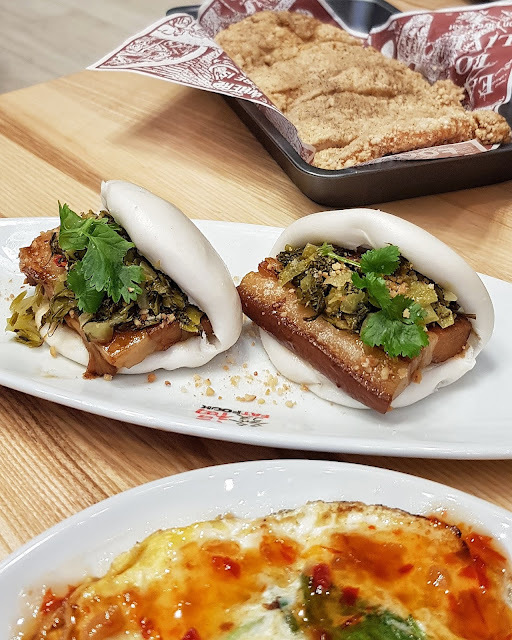 Currently, Fat Fook has five branches, one at SM North Edsa, in Robinson’s Galleria, SM Megamall and most recently Glorietta. 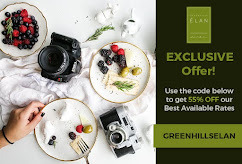 Now their newest branch have been launched just recently at The Globe Tower 32nd St, BGC in Taguig. 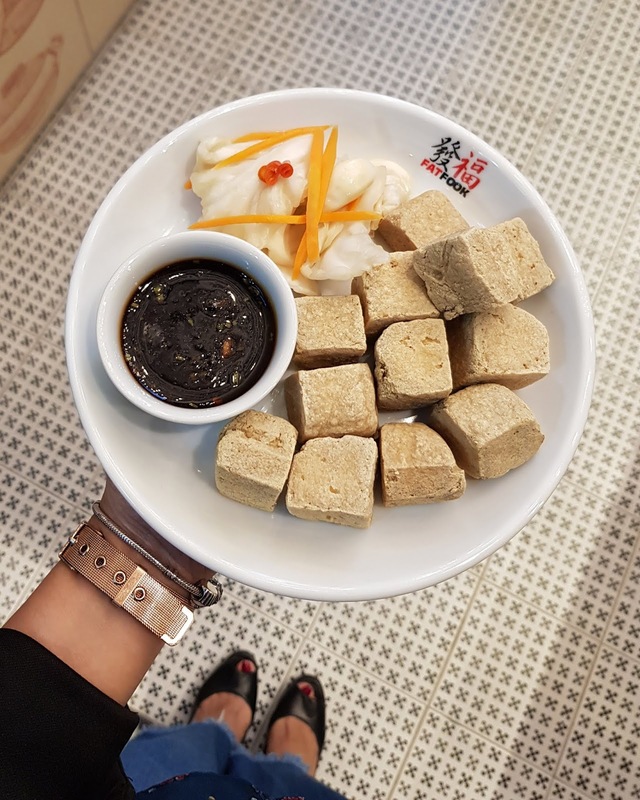 According to their executive chef, Rachel Kao, the menu is inspired that of Taiwanese sought after streetfood and her own family's recipes as she herself was born in Taiwan but she grew up here in the Philippines and have married here as well. Hence, Fat Fook is a marriage of true Taiwanese culinary and the distinct Filipino palate. Have I mentioned that I have been to Taiwan? My husband and I spent our anniversary this year over some gorgeous street food at two of Taipei's sought after night market - Raohe and NingXia and our gastronomic experience was one for the books. So, having tried Fat Fook's dishes brings back those adorable moments with Taiwan food. 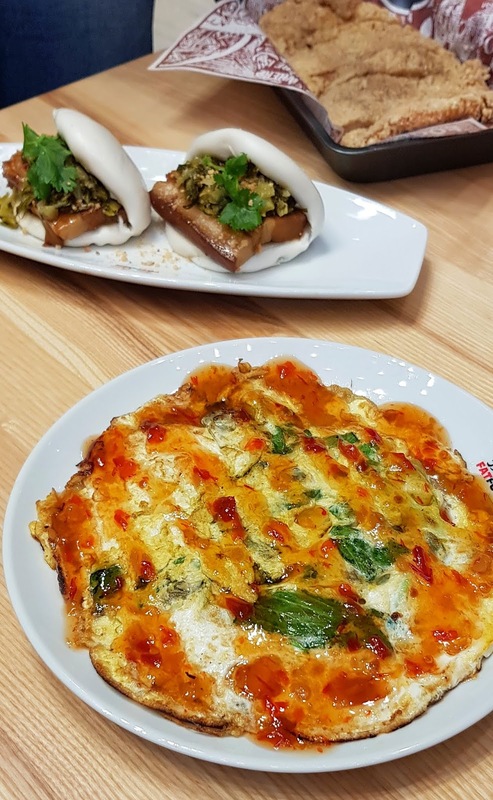 Let me share you some of the dishes you will definitely love at Fat Fook's, whether you have already been to any of Taipei's night market or not. 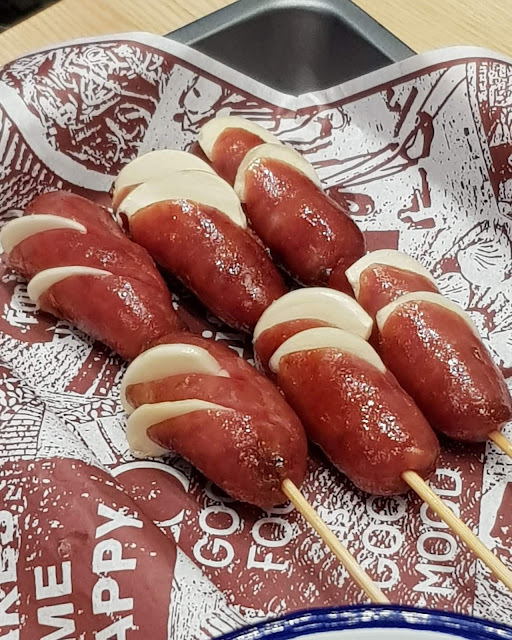 Taiwan offers a myriad of homemade sausages, Fat Fook's version are rather smaller version of what stalls sell in some night market yet they are packed with a punch. In between the savory (yet not overly salty) slightly soiced meat are slivers of fresh garlic. 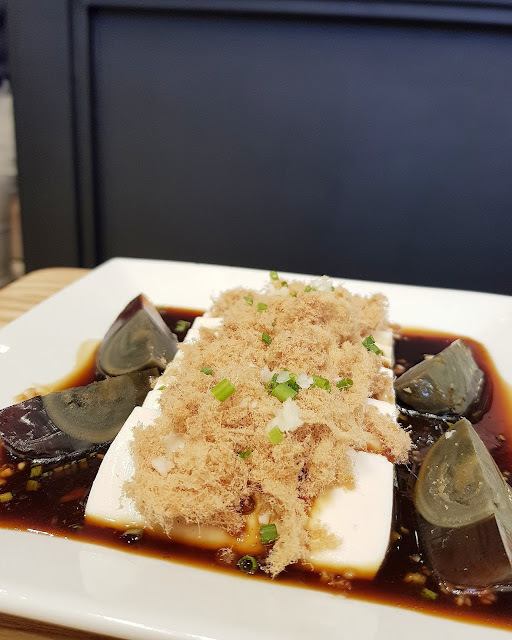 Tofu with Century Egg and Pork Floss, is another dish one should not miss. The silky tofu and century egg matched so well with the sweet and salty sauce topped with pork floss. One of the most sought-after food in Taiwan that most tourists have been challenged with is the Fried Stinky Tofu. Eating can truly be adventurous and you can definitely have some here. It's actually a really fowl-smelling heck of a dish where tofu is fermented then fixed with a sweet salty sauce and pickled cabbage. Make sure to have some of the pickled cabbage first before having the stinky tofu. One of the dish we really loved having at Ningxia Market was the hot bowl of stewed beef broth together with the Asian spices infused broth, and we terribly miss it. But having this bowl of Pork Spareribs Radish Soup have fixed that craving somehow, cause it's just so comforting. 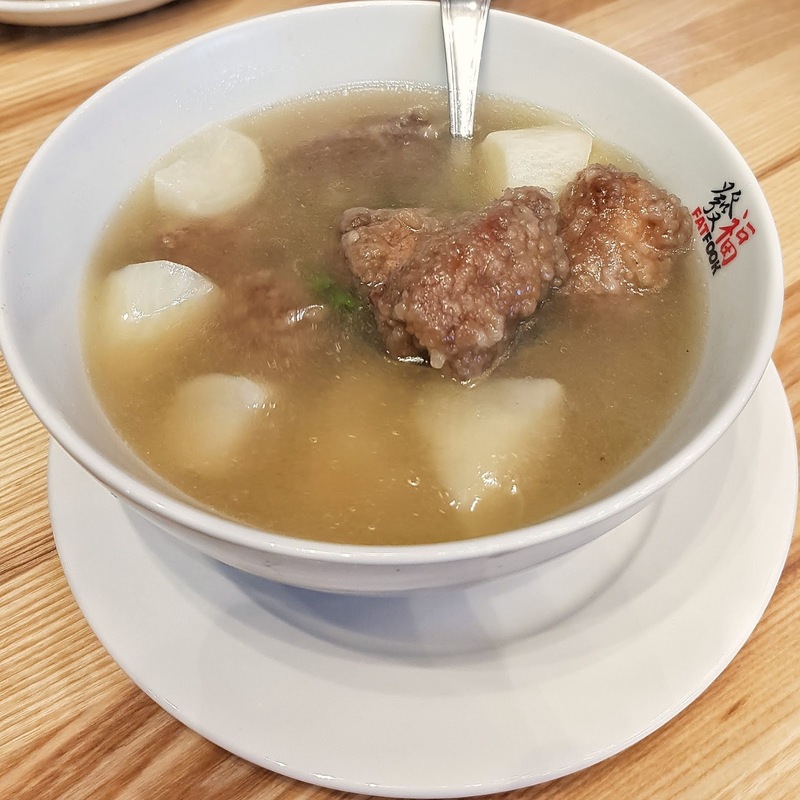 Though different from the broth we loved, this soothing soup is made up of chicken broth and radish made lavish with some deep fried marinated pork ribs. The Oyster Misua is another interesting dish in the menu, it's the only resto (except in Binondo of course) I know that serves misua and oyster. You haven't been to Taiwan if you haven't tried at least one of their homegrown Xiao Long Bao, and Fat Fook took the experience up a notch with Truffle Xiao Long Bao. 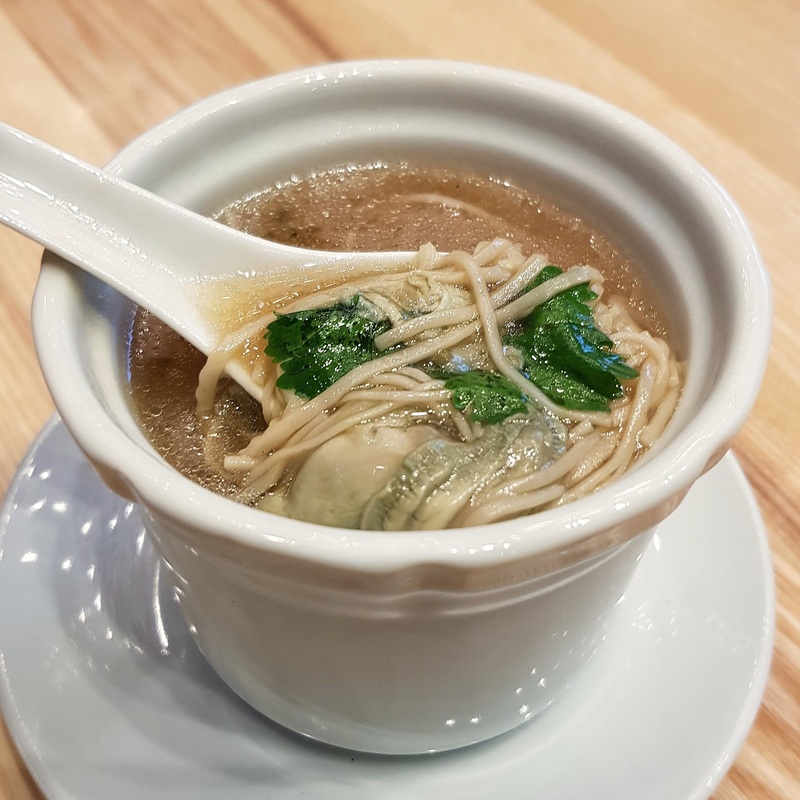 I love the subtle truffle flavor of the broth inside the dumpling and the meat is seasoned pretty well which goes perfectly with the black ginger and vinegar dip. 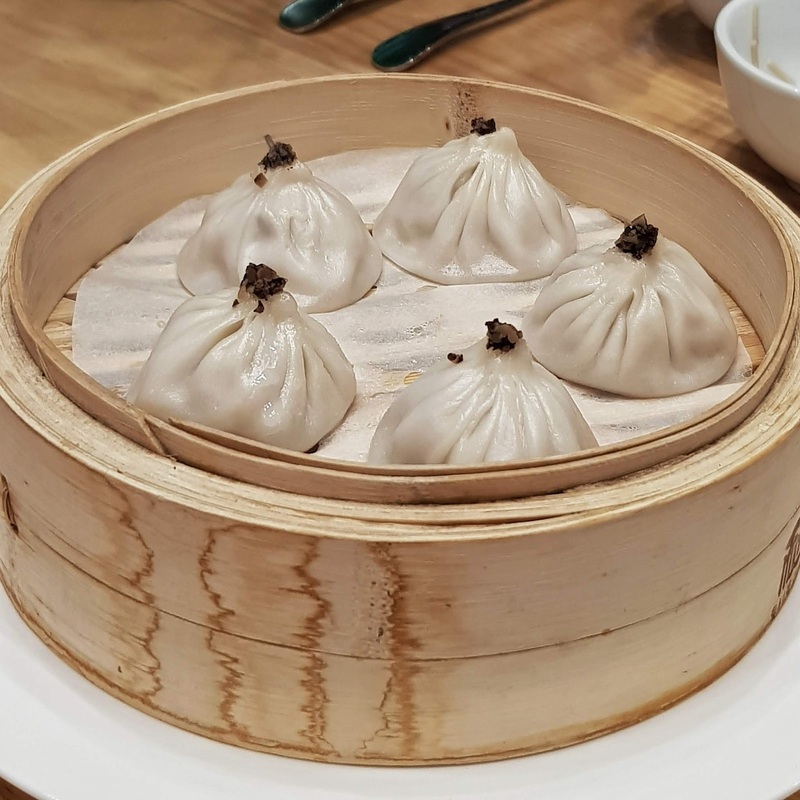 If you just want a simpler taste of the Xiao Long Bao, the Pork variety is for you. Foodie Taiwan discovery of the century is this huge serving of Fat Fook Chicken Chop, a signature dish deep fried breaded chicken fillet with salt and pepper. 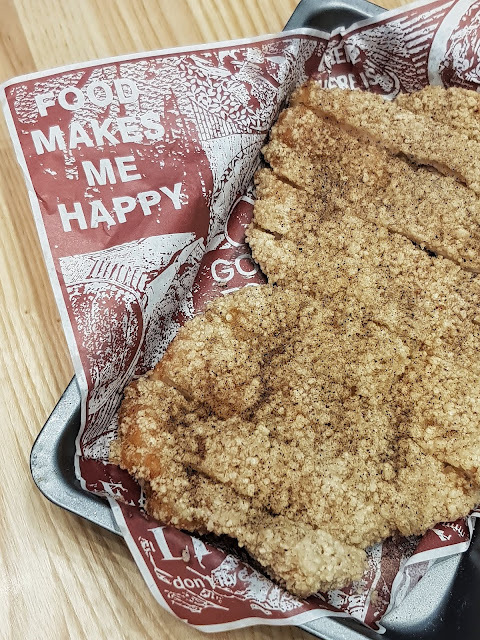 You get a crispy outer part and soft meat inside but not too heavy to eat. Street food fanatics beware! 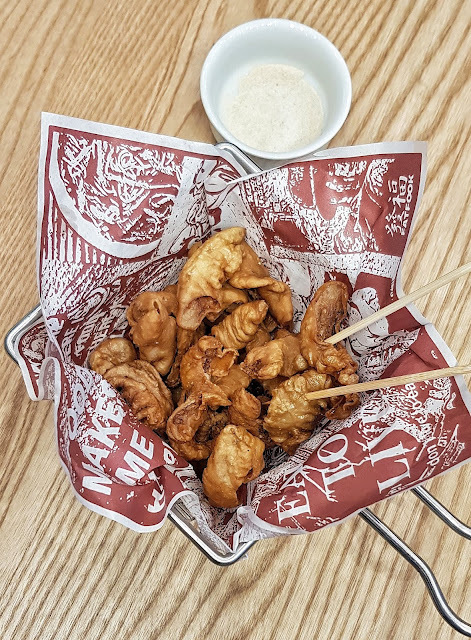 The Fried Intestine is just so delish, that you might order a lot of this with your beer. The small pork intestines were fried to a crsip simply seasoned with salt and pepper. One of my favorite here is the Oyster Omelette. I love the gooey fork bites brought about by the oysters and with shredded veggies in the omelette, this makes for a healthy alternative for your rice the sweet pepper sauce drizzled on top gave it some punch as well. I love eating it on its own, or you can also have it with their fried rice. For your meat cravings, the Black Pepper Beef is the bomb. 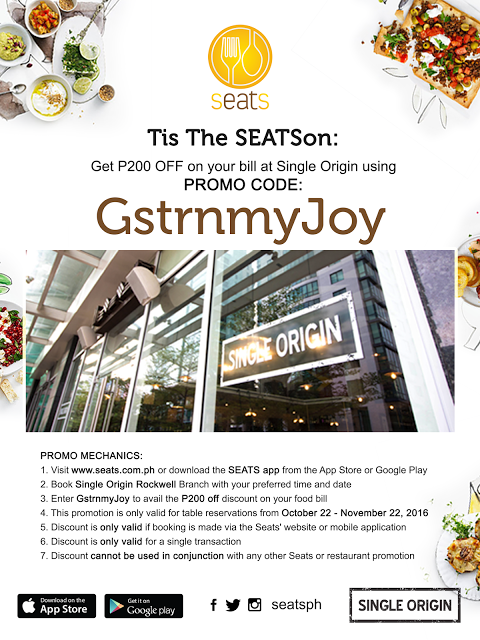 Sitting on top od a sizzling plate are stir fried beef tenderloin chunks in black pepper sauce. I was blown away to find out that Fat Fook is a homegrown concept from the Ramen Nagi group. No wonder why it's so indicatively modern and innovative. So you can either take my word for it or you can just head on over there and try it for yourself. i wonder kung anu lasa ng taiwanese food. IT seems so tasty, Thanks for sharing these all tasty dishes information with us, i want to eat these all one by one. 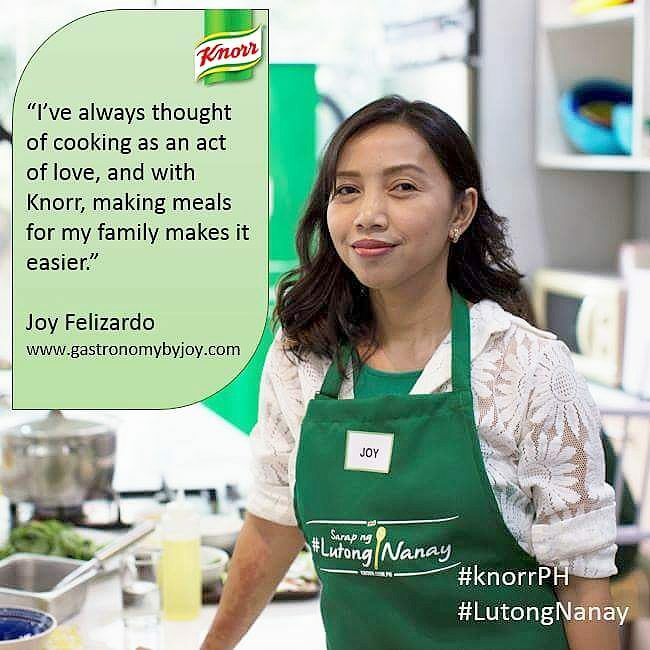 Thanks for sharing this article about food, i am also like to eat tasty foods. Good guide keeps sharing. Wow Seems So tasty thanks for sharing these all foods information with us. 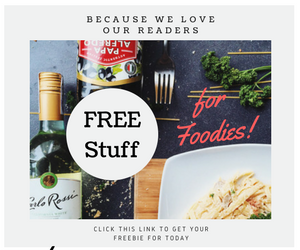 Thanks for sharing these all tasty food information with us, Good guide keeps sharing.